The project is an anonymous way to share posts and comments. The catch of the project is that it doesn't support any text. You post statues in form of GIFs and also reply in form of GIFs. The project is live feeds and people can comment on any feed without any login and sharing their credentials. The application is supposed to add a little humor to the social networking platforms. 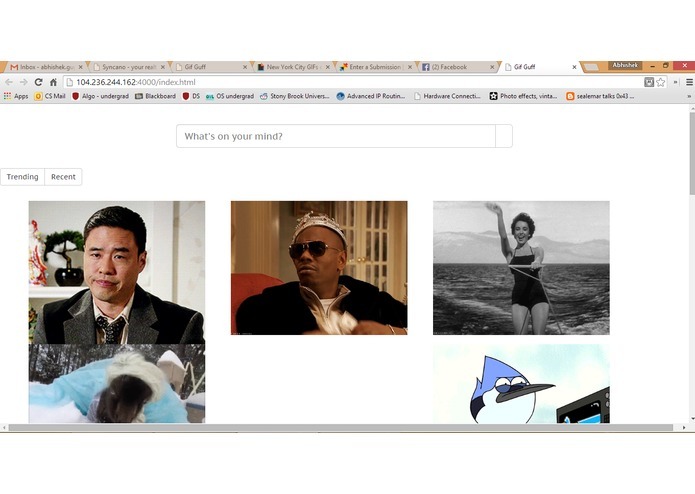 People can also check out the trending GIFs.